Upon completion of the program, you will receive a voucher to take the 200-125 CCNA certifying exam. Upon successful completion of this program, you’ll be prepared to sit for either the 200-125 CCNA exam or the 100-105 ICND1 and 200-105 ICND2 exams. Your registration fee will include a voucher to take the 200-125 CCNA certifying exam. Upon successful completion of the program, you will be awarded a certificate of completion. In addition, you will receive an exam voucher for 200-125 CCNA certifying exam after successful completion of the program and financial obligation. 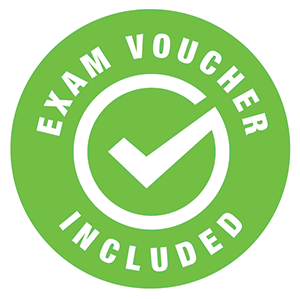 Yes, you will be prepared to sit for either the 200-125 CCNA version 3.0 exam or the 100-105 ICND1 and 200-105 ICND2 version 3.0 exams and you will receive an exam voucher for 200-125 CCNA exam after successful completion of the program and financial obligation.